This is my vegan alternative to my Slow Cooked Lamb Curry. It is cheap and easy to prepare, deliciously filling and loaded with veg that will nourish your body. Place the pumpkin, cauliflower and chick peas in the bottom of the slow cooker and turn on to low. Heat the oil in a frying pan and saute the onion until it is slightly translucent. Add in the dry spices and cook for another 2 minutes. Add in the garlic, ginger and chilli and cook for a further 2 minutes. 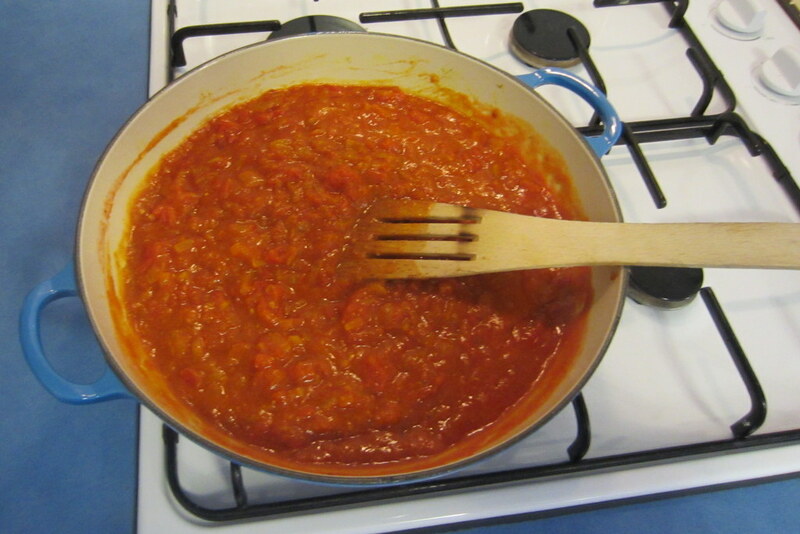 Add the tomatoes to the pan and stir until well combined with the spices. Add syrup and stir. Pour the tomato and spice mix over the top of the vegetables in the slow cooker. Return the lid to the slow cooker and cook on low for 2 hours. Add in the green beans and cook for a further 2 hours. Stir in the spinach and coconut cream (don’t shake the can, but use the thickest part at the top of the tin for a creamier sauce). Turn the cooker up to high for the final half hour but leave the lid off the slow cooker to allow some of the liquid to evaporate, stirring occasionally. This quantity of curry serves about 10-12.